You may know John Christopher’s name in association with the Tripods Trilogy: The White Mountains, The City of Gold and Lead, The Pool of Fire. It’s a sci-fi series that’s often read to or by kids in middle school who like the challenge of themes, allusions, critical thinking, and moving past the simpler books of grade level. I was first introduced to it in a gifted classroom around 5th grade, and I will always remember the stories fondly, partly, I’m sure, because of the time period and my age, not solely because the novels are phenomenal. I don’t, honestly, remember them extremely well, so I’ve borrowed the first from the library and am going to read them to my own children. 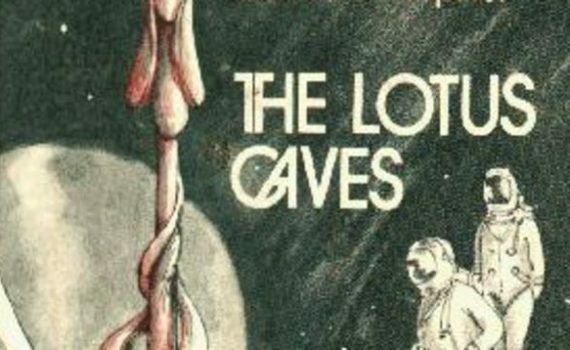 But I also grabbed The Lotus Caves, a book Christopher wrote directly after Tripods, and another I remember from school but couldn’t quite conjure its details. After a revisit, I now remember the simple points the author was attempting to make, and the talent with which he was able to convey them to such a young audience in such a short time. In the year 2068, humans are living on the Moon in a colony that provides resources down to Earth. You sign on for a number of years, make a certain amount of money, and then you make the return journey, but your children are raised in a place that they will always remember as home. All humans live in a dome called the Bubble, a place where nothing is wasted, most things are artificial, and there aren’t many variations or choices. For Marty, especially when his best friend leaves to return to Earth, these restrictions chaff, and he longs to break a few rules, go out on his own, do something different, anything to break the monotony of life in the Bubble. When he makes a new friend, Steve, they hatch an idea that will definitely get them into trouble but will sure be fun while it lasts. They commandeer a land rover, taking it for a spin out on the surface, with the intention of coming right back once they’ve had their fun. But the rover falls into a hole, which leads to a series of caves underground, and what they find living there goes beyond anything they could have imagined, and might not be willing to let them leave. The Lotus Caves is definitely a book targeted at younger audiences, I’d say anywhere from 8-12 depending on reading level and comprehension, but it’s still an enjoyable read for adults as well, at least for those who remember Mid-Grade fiction fondly and don’t mind revisiting it sometimes. The themes are really interesting: growing up, growing old, finding independence, loving something/someone more than yourself, parents, authority, even God. There’s no lack of conversation embedded in this story, and I’m excited for my daughter to read it so that we can talk about what she thinks it means, since I know the points in novels often change as we ourselves change (look no further than The Giver for an example on that idea). And as far as purely technical writing goes, Christopher exhibited talent with his followup to the series that will always define him, giving us a really solid piece of literature to share with the younger and remember as we get older.